A six-month multimedia exhibit of Magma Copper Mine “Honoring our Past, Planning for our Future” is on display at Boyce Thompson Arboretum from now through May. The display captures the black and white photos of the early beginnings in the 1920s and progresses through the 1940s, when Magma Copper was at its height of production. The exhibit is located at the Boyce Thompson Arboretum on Highway 60. The Picket Post Mansion open house will take place on Saturday and Sunday, Feb. 2-3. Access is $20 for adult or child at the Boyce Thompson Arboretum. Cash payments are preferred. Non-current members must also pay the park entry fee of $15 per adult and $5 per child, ages 5-12. Members in good standing will have access in accordance with current membership level. Boyce Thompson is located at 37615 E U.S. Highway 60, Superior. For more information, call 602-827-3000. Hashbrowns, History and Hiking is a geological history tour, hosted by the Legends of Superior Trails (LOST). The event will begin at 7:30 a.m. Friday, Feb. 8, at the Superior Chamber of Commerce, 165 Main St. and will include a hearty breakfast, a presentation and discussion on the geological history of Superior with a hike along the Queen Creek Canyon segment of the LOST. The hike will be mild to moderate. 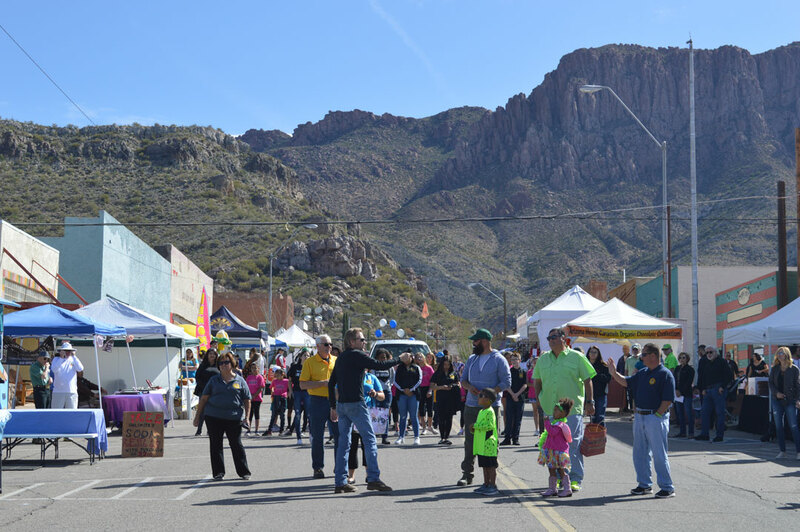 Funds raised from the event benefit the Legends of Superior Trail, Inc.
For information, Call the Superior Chamber of Commerce at 520-689-0200.